Located about 75 miles west of Raleigh in Asheboro, N.C. 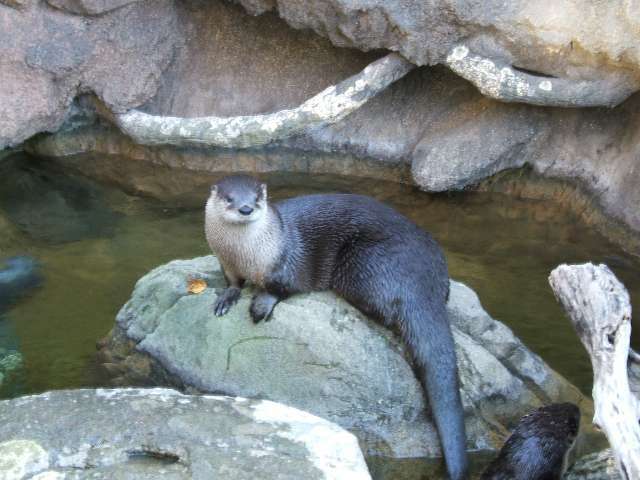 Zoo is nationally recognized as one of the nation"s finest zoos. It was the first American zoo designed from its inception around the "natural habitat" philosophy--presenting animals and plants in exhibits that closely resemble the habitats in which they would be found in the wild. Among the most popular exhibits are those that display polar bears, sea lions, river otters, alligators, elephants, gorillas, baboons, rhinoceros, giraffes, and zebras. The 37-acre African Plains exhibit alone is as large a many entire zoos. 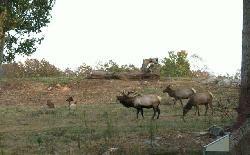 The 11-acre Prairie exhibit in the North American region showcases the zoo"s collection of bison and elk. The Sonora Desert, an indoor recreation of the famous desert of the American Southwest, is alive with roadrunners, rattlesnakes, gila monsters, tarantulas and many more fascinating denizens of that hot, dry climate.This was the nation"s first state-supported zoo and remains one of only two state zoos, the other located in Minnesota. The N.C. 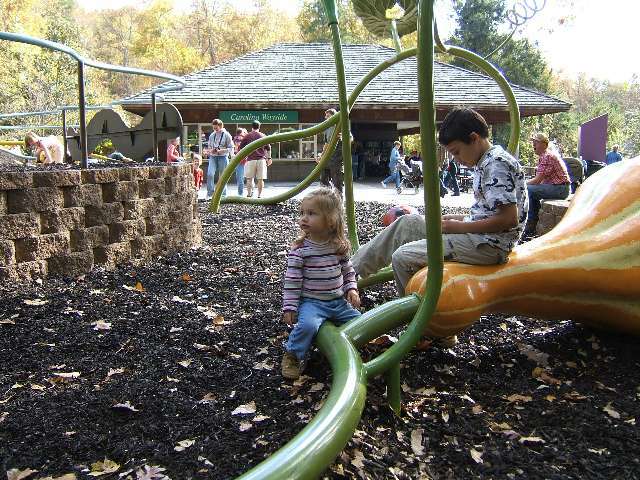 Zoo is also the nation"s largest walk-through natural-habitat zoo. Its African and North American exhibit regions span more than 500 acres with more than five miles of walkways. Another 900 acres are available for future development on this scenic site in the Uwharrie Mountains, considered by geologists to be one of the world"s oldest mountain ranges. These beautiful hills are still called "mountains," but the tallest point on zoo grounds is Purgatory Mountain at 937 feet above sea level. One of the zoo"s primary missions is to make visitors aware of the connections between humans and the world"s animals, plants and natural resources. Interpretive galleries and individual signs provide a wealth of information to make visits more enjoyable and educational.Numerous special events are held at the zoo to add another dimension to the visitor experience. These include: the live birds of prey show "On the Wing"; an "Earth Day Celebration";"Migratory Bird Day"; "Holiday Lights"; and "Boo at the Zoo". "Street Rod Safari," a show of classic and collector automobiles is another zoo tradition. For event information check the zoo calendar. Hours of Operation: Our hours are currently 9 am to 4 pm. Starting April 1, weekday hours will be 9 am to 4 pm and 9 to 5 pm on weekends. The zoo's hours beginning April 14 will be 9 am to 5 pm every day until November 1. Beginning November 1, our winter hours will be 9 am to 4 pm weekdays and weekends. Guest are advised to visit Africa before mid-afternoon, especially if you arrive after 12 noon in order to view all animals. The Zoo is open 364 days a year. The Zoo is closed Christmas day and during severe weather. During most of the year guests have the option to enter or exit through either admission gate located at North America and Africa continents. During the winter or for special events, access to the zoo may be limited to one of our admission gates.